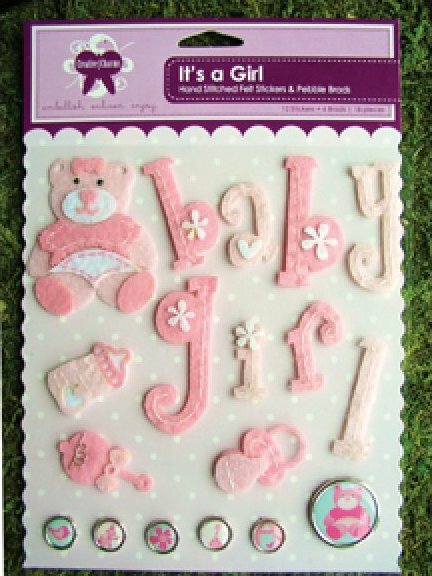 These adorable felt stickers and epoxy brads are perfect for your baby projects. 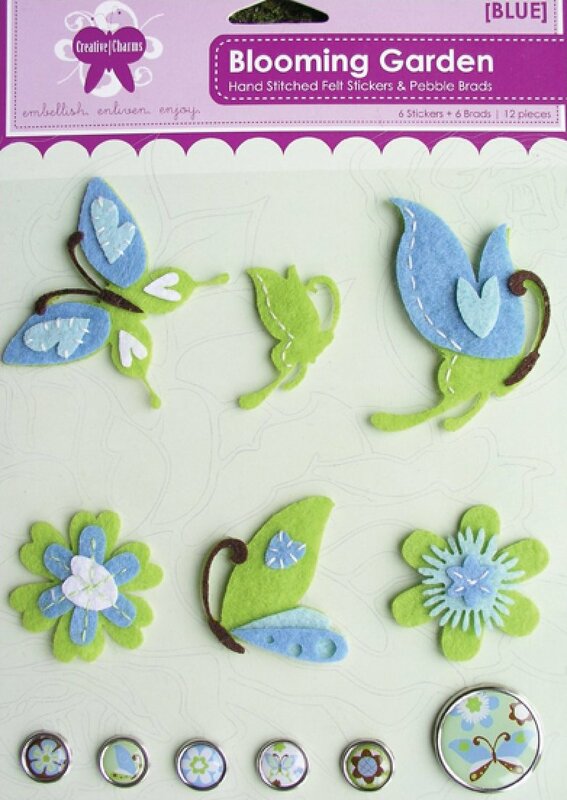 These felt stickers and epoxy brads are perfect for your spring projects. Available in pink and blue. 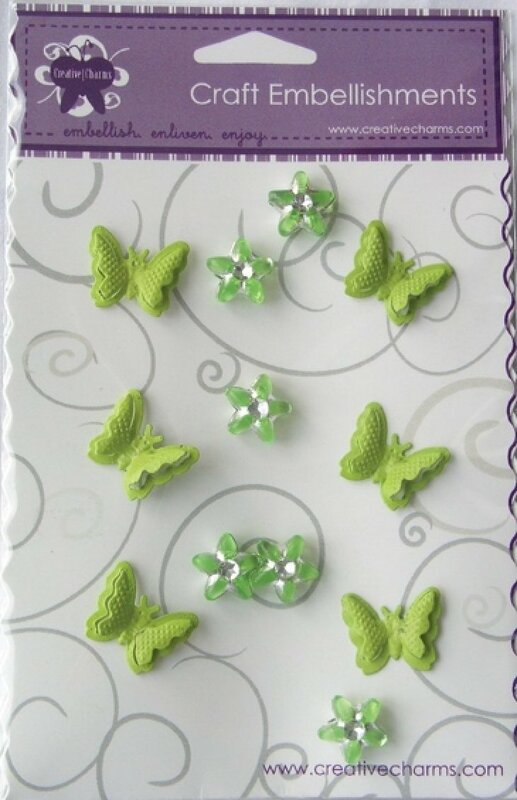 You get 6 fabulous three dimensional butterfly brads and 6 flower gems in each package. Available in green, blue, purple, white, and orange. 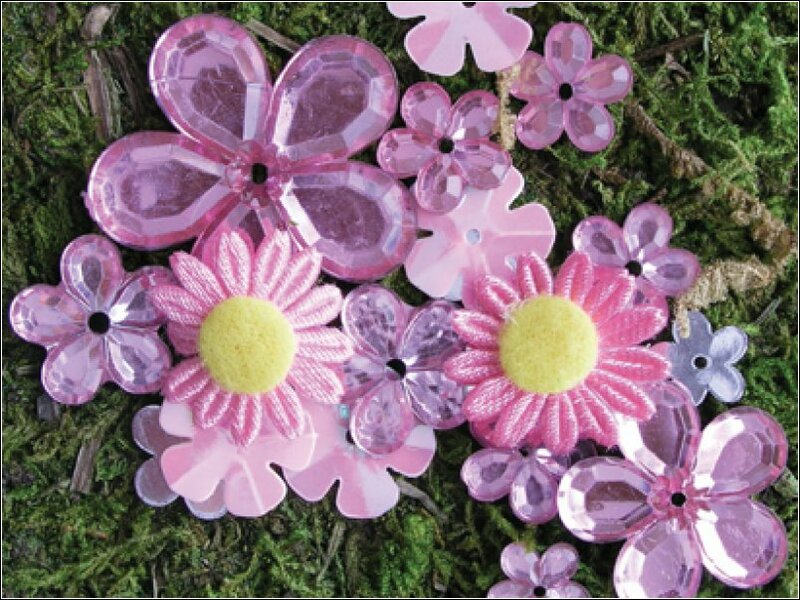 Spring medley offers a variety of sparkling flowers in pink, purple or blue. Fall, Summer and Winter Medleys are also available at this special price. 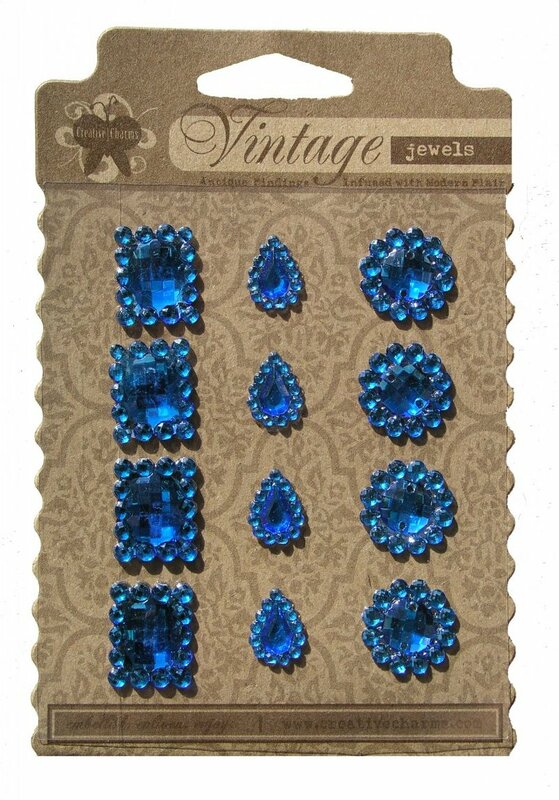 These self adhesive jewels will give your projects a sophisticated sparkle. 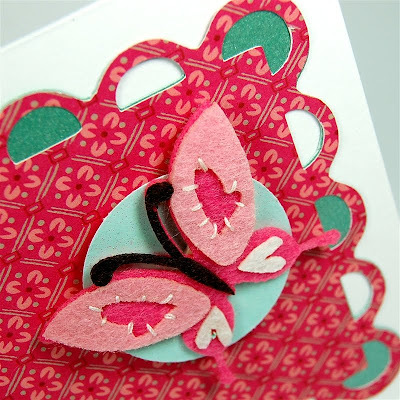 I have used all of these embellishments and they add a lot to you cards and other projects. You can check the label for Creative Charms in the right side column to see many examples. (You can also click on the two card photos in this post to go directly to the original posts). I hope you are having a nice weekend - we had a few snow flurries here! I took major advantage of the special when they were even lower than now. They are cuter than I even imagined.